"Content marketing attracts individuals from different backgrounds and often requires them to become more than marketers: jack of all trades and (hopefully) masters of one. Content marketers don't need to be experts at everything. But they should be well-rounded individuals, borrowing qualities from different walks of life." 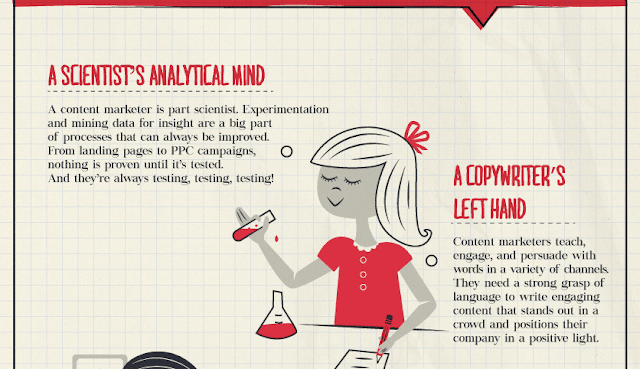 Here’s an infographic from uberflip that paints a portrait of a real content marketer.